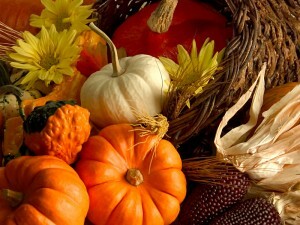 Thanksgiving is a traditional holiday celebrated by millions of Americans and people throughout the world. It’s not just a delectable feast of turkey, pumpkin pie and too many carbs that come with this holiday. This special holiday has a priceless and meaningful history. On Sept. 6, 1620, the pilgrims set sail on a ship called the Mayflower leaving from England for their quest and search for both civil and religious freedom. After sailing 65 days at sea, they settled in a town called Plymouth in what is now Massachusetts. The pilgrims’ first winter was so harsh that 46 of the original 102 settlers died by the following fall. But fortune turned in their favor, and the harvest of the next year was plentiful. To celebrate, the remaining colonists decided to have a feast with the 91 Indians who helped them survive their first year. The pilgrims would have perished without the benevolent spirit of the native Indians. They started America’s first Thanskgiving by giving thanks to God. But it wasn’t until more than 70 years later, after the battle of Gettysburg, that the holiday was officially declared. In the chaos after the bloody battle that left over 50,000 Americans dead, with civil war raging and riots tearing the nation apart, President Abraham Lincoln proclaimed in October 1863 that the last Thursday of November be set aside as a day of thanksgiving. Thanksgiving was subsequently proclaimed a holiday by every president after Lincoln. Thanksgiving is truly a unique holiday for our unique nation. Today, at a time when public expressions of faith and thanks to our Creator are under assault in America, it is especially important to remember the true meaning of Thanksgiving.